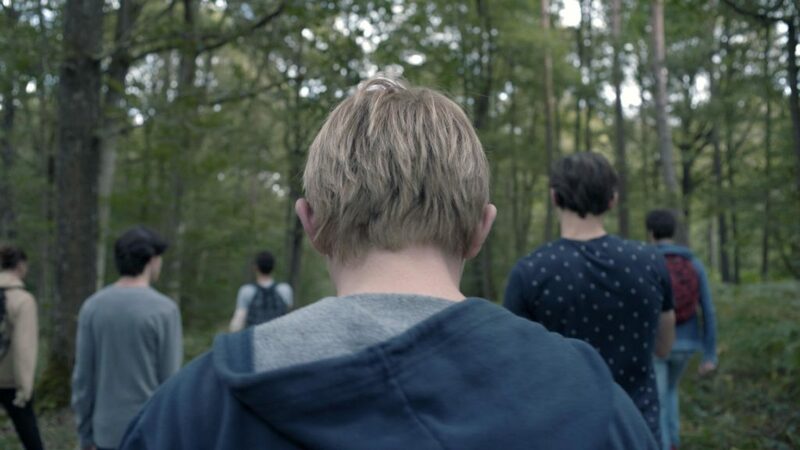 A teenager is walking through the forest with his classmates, looking for Gabriel, a kid from his boarding school who went missing. After a violent incident, he separates from the rest of group and starts to wander alone. He slowly drifts away from the searching crew, deeper into the forest. GFM: Gabriel leaves a lot open to interpretation. It seems that at the end of the film, the boy has perhaps become the person who is lost, and that they’re now searching for him. Can you discuss your thought process while developing this story? Oren: It’s true what you mentioned. I really like this starting point where people are wandering around in the woods without ending, without beginning, like we are as humans. We are always trying to look for something, for someone, to grasp onto something, to have some kind of redemption. 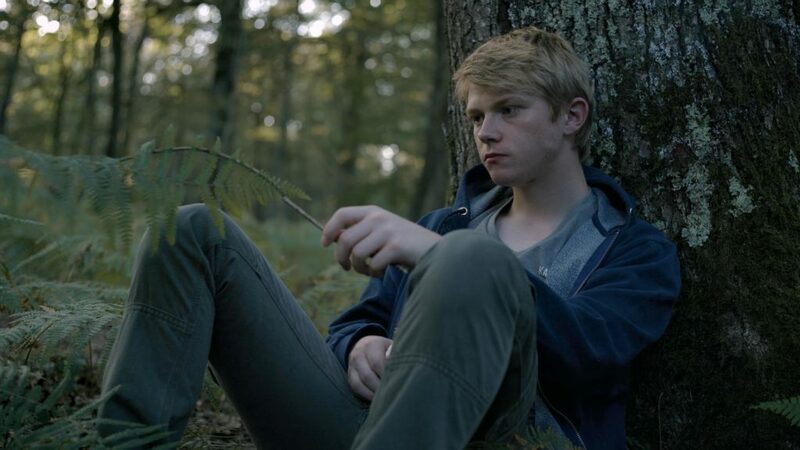 As the film is progressing, the main character is kind of merging with the lost one and becoming the thing or the one that everyone’s looking for. In a way, it’s a movement from the need to search to the need to be found. GFM: Your previous film, Greenland, is partly autobiographical. Is Gabriel autobiographical in any way? Oren: It’s not autobiographical, even though I was part of a searching crew before, for someone I know. This one is not as personal, but these days I’m working on a feature film which is developed from Greenland, which we’re now editing. Like Greenland, it stars my parents and me, but this one is a bit less personal. It’s personal in spirit, but not in the biographical aspect of it. GFM: What are your views on the short film format and its role on your career as a filmmaker? Oren: I really love the short format mainly because you don’t need to be as strongly attached to a story and structure as you need to be in a feature. A short film can just focus on an environment or a specific moment or a sensual event, it doesn’t have to have a complete arc with all the script points. It allows you a lot more freedom to experiment with the cinematic form. And of course, it’s a great way to develop and to help your larger projects, like a feature film, but it’s not just a step on the way. It’s an art form of its own and I think it has its own place. GFM: You mentioned that you were here at the Cannes Film Festival previously as a festival goer, and now here you are as an invited film maker. Can you talk about what having your film accepted into Cannes for the Palme d’Or competition means for you? Oren: Of course it’s a big honor and it was very exciting to hear this news. I was here four years ago and the first time was very confusing. It’s a huge carnival of people, industry, films. There are many festivals inside the festival. And there’s a very strong hierarchy – you need to know people in order to know where to go. When you just come the first time without a film, it’s like complete chaos. You get lost. Like in the film! I kind of got lost in Cannes. It was kind of a tough experience, but the reason I came is to study it for coming here in the future. It was a good experience for my understanding of the industry. This time, coming with a film, it was much easier to navigate this place and to get to know it better. Of course, it’s a different experience because you’re in the competition and you have better opportunity to enjoy this industry and what it offers you. It has been a great experience. Download the app now and read the full interview!